> FREE METAL EYELETS FOR QUICK HANGING INSTALLATION. > WELD IN ROPES OPTIONS FOR EXTREME EDGE PROTECTOIN & EASY INSTALLATION. > SUPER HIGH RESOLUTION PHOTO QUALITY PRINTING. > WIND HOLE OPTIONS FOR EXTREME WINDY AREA. CLICK INTO DETAIL PAGE AND GET YOUR CUSTOM SIZE QUOTE. 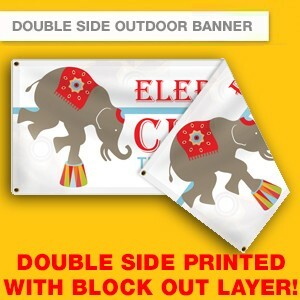 Double side outdoor Banner is printed on speical double side vinyl banner material, this material comes with a block layer that will make sure 2 sides images will not see through to each other. 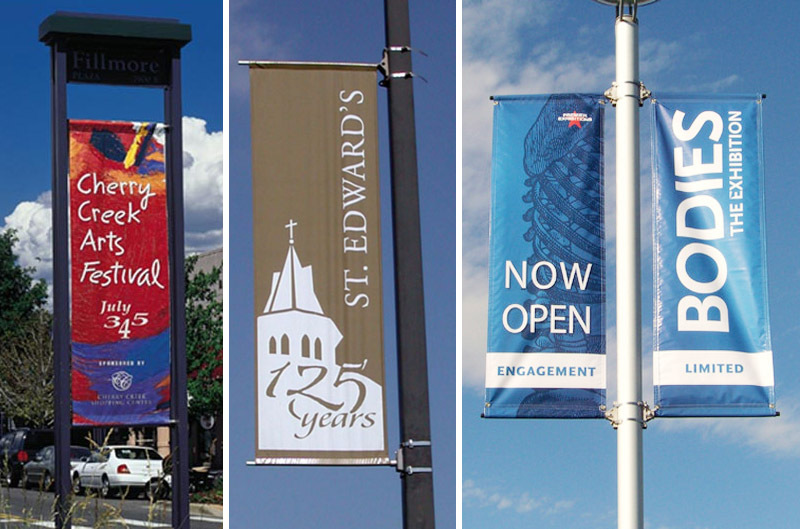 It's light weight but super durable material banner product for outdoor display. 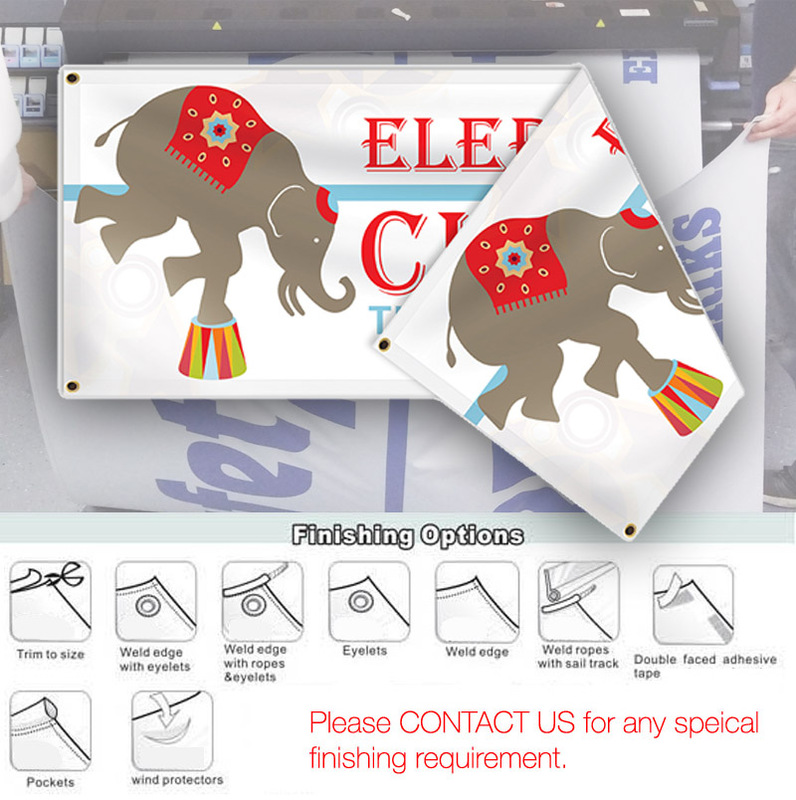 We provide urgent and same day vinyl banner printing service in high resolution printing quality,which will give you more professional impact to your business. NOTE: RE-ENFORCE EDGE FINISHING & ROPE FINSHING WILL ADD A 3CM WHITE RE-ENFORCED MATERIAL TO BANNER EDGES. ACCEPT ANY CUSTOM SIZE FULL COLOR PRINTING. WE USE QUALITY OUTDOOR INK TO MAKE YOUR PRINTING CAN LAST 3-5 YEARS. Step 1 : Place order on this page with your printing size. Step 2 : You will receive an order confirmation email, simply reply that email and attach the artwork file. If the files are bigger than 20mb, You can upload big files from Upload File page on website menu. If you request design service, please include any text, color, logo to be used on your email. Step 3: We send back artwork preview file for you to review & approve, and then we will start the production. 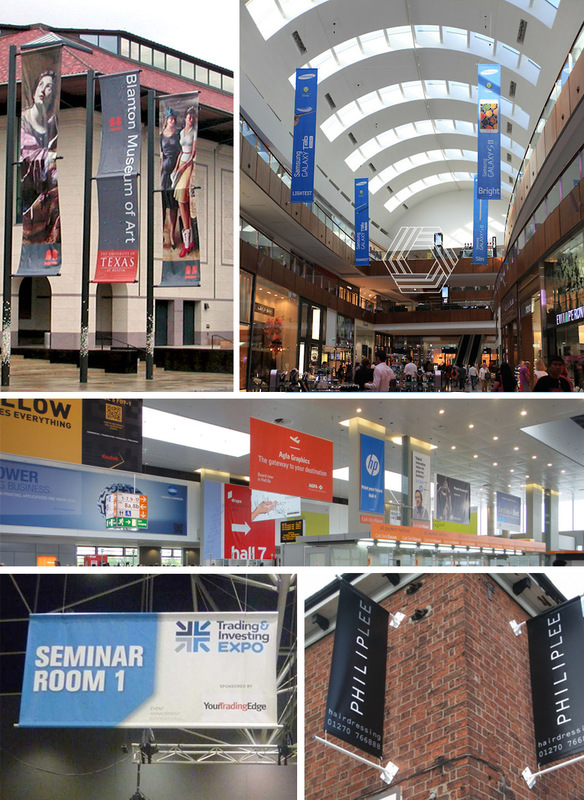 *PRINT ON 440GSM HIGH QUALITY SMOOTHLY VINYL BANNER MATERIAL. PRINT IN SYDNEY,SHIP FROM SYDNEY. NO OVERSEAS. *ACCEPT ANY SIZE PRINTING. DOUBLE SIDE PRINTING ALSO AVAILABLE. *24 HOURS URGENT PRODUCTION IS AVAILABLE.